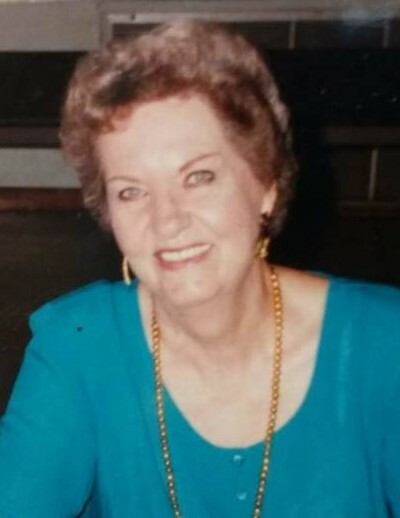 Patricia A. Naranjo, 88, of Hernando, FL, died peacefully on Wednesday, March 20, 2019, with family at her bedside at Vitas Hospice in Lecanto, FL. She was born on September 22, 1930, in Huntington, NY, daughter of Herman and Evelyn Wickel. Pat moved to Hernando from Nashua, NH in 1992. She was an active member of St. Scholastica Catholic Church in Lecanto, FL where she served as Eucharistic Minister for many years and was a longtime member of the Council of Catholic Women. She also taught Tai Chi at the Inverness Library for 14 years. Besides her parents, Pat was preceded in death by her husband, Peter W. Naranjo, brothers, Bob and Jack Wickel and son-in-law Tim Paulsen. Survivors include daughters, Donna Paulsen of Bethpage, NY; and Cyndi Cornwell and her husband Doug of Lindenhurst, NY; sons, Judge Richard Naranjo and his wife Wendy of Santa Clarita, CA; Capt. Edward Naranjo (USN Ret.) and his wife Nancy of Jacksonville, FL; and Rev. Fr. Peter Naranjo of Lenox, MA; her brother, Joe Wickel of Port Jefferson, NY; as well as 11 grandchildren, 14 great grandchildren, and 3 great-great grandchildren and numerous nieces and nephews. Services for Pat will be held at a later date on Long Island with her final resting place being with her family at Holy Rood Cemetery, Westbury, NY. Heinz Funeral Home & Cremation, Inverness, FL.